Recognized leader in private and hybrid cloud landscapes in Ghana and the West Africa region, IBM Ghana has been awarded Ghana’s best Cloud Service Provider at the recently held 8th Ghana Information Technology & Telecoms Awards (GITTA), the most prestigious awards program in the industry held at the Movenpick Ambassador Hotel in Accra last Friday night. The awards come after, IBM Ghana’s demonstrative achievements in becoming a leading supplier of private and hybrid cloud and other technology solutions and services to customers in the Financial, Government and Telecommunications sectors in Ghana and West Africa. 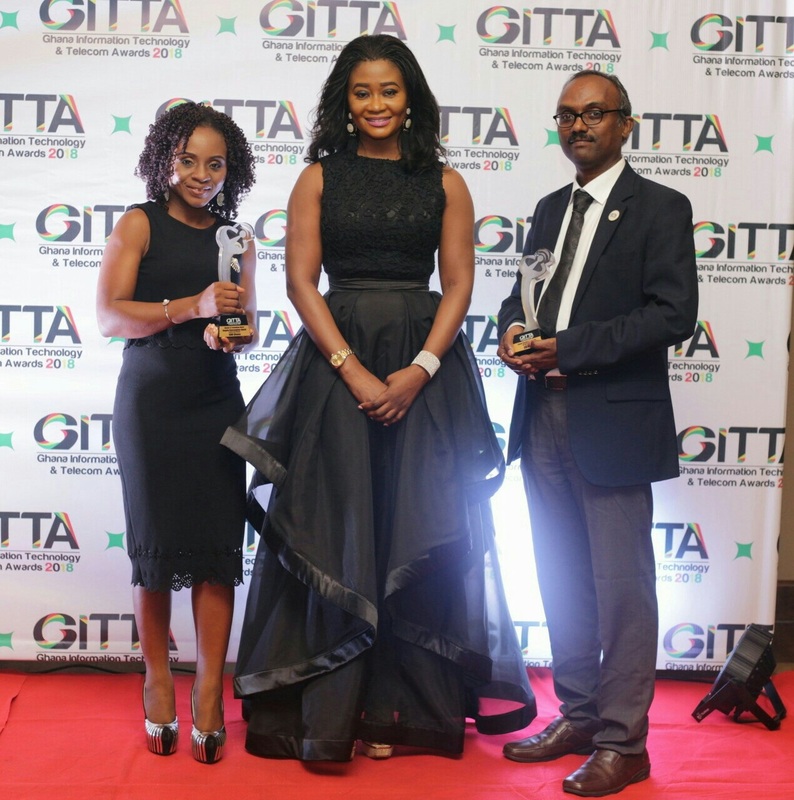 As a former recipient of the same award in 2016 from GITTA, IBM Ghana under the leadership of Angela Kyerematen-Jimoh continues to champion excellent delivery of high-value solutions and services to meet the growing needs of clients. The ceremony which was held with the presence of Hon Ursula Owusu, Minister of Communications and leaders in the ICT Industry also had the CEO of IBM Ghana, Angela Kyerematen-Jimoh picking up the most coveted personality award dubbed the Woman in Technology of the Year Award for 2018. Commenting on the awards, Ms Kyerematen-Jimoh noted “IBM is focused on three key areas: cognitive computing to accelerate insight, open technologies to deliver innovation rapidly and hybrid cloud for seamless data movement and secure integration between on-premises and off-premises systems. We are glad to be recognized in an area which is very key to your growth strategy.” She further commented on her personal award stating that it’s an honour to be recognised as the Woman in Technology especially so after taking a bold step from Banking into Technology. The GITTA Awards which has become one of the industry’s most prized honours has an independent panel of industry experts as judges, which recognize organizational performances, products, services, innovations, executives and management teams, women in ICT, and CSR initiatives.